Tournesol is an educationnal platform based on 8 photovoltaic sun trackers. 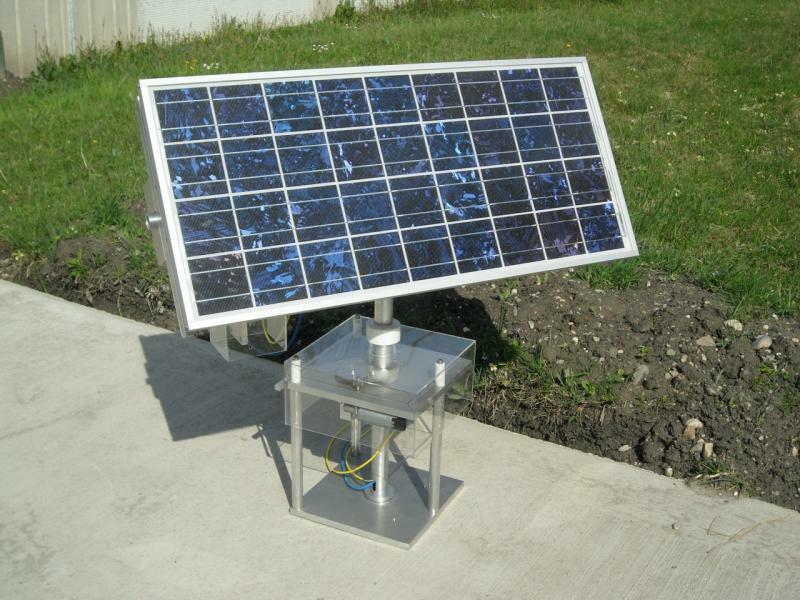 The sun tracker follows the sun, thus maximizing the light power on the photovoltaic module. This platform is designated to educational activities and student projects, in various themes such as physics, mechanics, electronics, computer science, embedded systems, industrial networks, RF communications. Embedded electronics, industrial computer applications, communication networks, analog and digital eletronics, power electronics.